Mee Ling is currently a Non-Executive Board member of Habinteg Housing Association which provides accessible homes to families and people with disabilities and promotes independent living. She was the Chair of Southwark Primary Care NHS Trust (PCT) Board from 2002-2010. The PCT was responsible for the commissioning and delivery of health care services in Southwark. 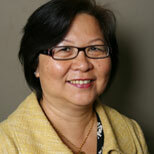 Mee Ling was a lay member of the Department of Health's Herbal and Traditional Medicines Regulatory Working Group. Other non-executive director appointments include being a Board member of the South London and Maudsley NHS Trust (SLAM); Lewisham and Guy's Mental Health NHS Trust Board and Her Majesty's Courts Service Board in the Ministry of Justice. She was a Lewisham councillor for 16 years from 1986-2002. She was Deputy Leader (Partnerships and regeneration) for 4 years, chaired the Council's Social Services and Economic Development Committees . As Chair of Deptford City Challenge Board, the multi-agency regeneration company levered in over £400m for the area. She also led on behalf of the Council, the development of the international dance centre, the Laban Centre in Deptford. Mee Ling is also a Honorary Fellow of Goldsmith's College and a Fellow of the 48 Group Club, which promotes UK-China business relationships. She received an Honorary Doctorate of Science from LSBU in 2010. She founded a number of local and national voluntary organisations active in the Chinese community and set up the first British Chinese theatre company. She remains a Trustee of one of these charities, Mulan Foundation Network. In 1994, she was privileged to be an election and peace monitor for 3 months in South Africa, leading up to the first free and democratic General Election, after involvement with the Anti-apartheid Movement for over 25 years. After graduating from Manchester University with a BSc in Biochemistry and an MSc from Salford University in Environmental Science, Mee Ling worked briefly in Malaysia as an environmental scientist before returning to Britain. Her previous jobs include working with the Royal National Institute for the Blind and other charities, focusing on disability, mental health and helping people to return to education and employment. She also worked as an economic development manager in the arts and cultural industries and managed a number of EU funded projects. Mee Ling was awarded an Honorary Doctorate by LSBU in 2010.